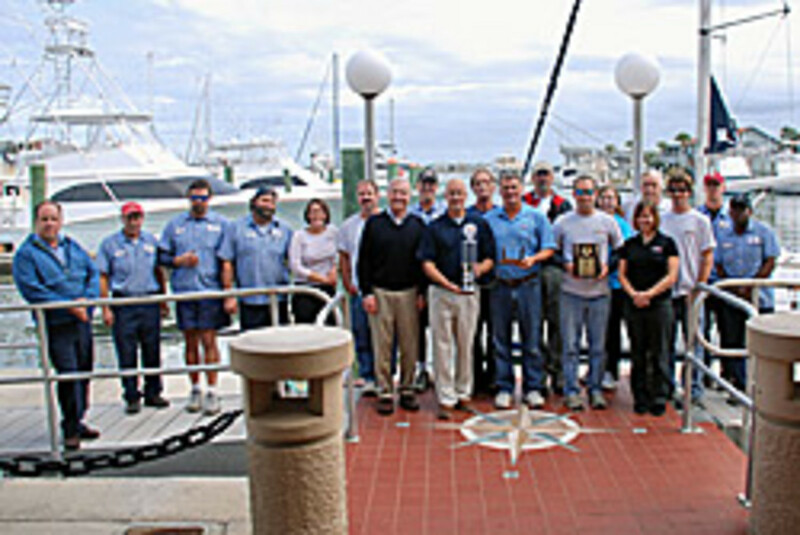 Camachee Cove Yacht Harbor and Yard in St. Augustine, Fla., recently received the American Boat Builders and Repairers Association&apos;s Award of Excellence in Customer Care. Camachee Cove is a fully protected facility adjacent to the Intracoastal Waterway and less than a mile from the St. Augustine Inlet and the Atlantic Ocean. "Peter Sabo and his partner Sean McKenna, from Camachee Cove Yacht Harbor, have been committed to caring for their customers and their boats for 15 years," said Mark Amaral, managing director of ABBRA, in a statement. "They have devoted a great deal of time and energy to building a highly skilled team that focuses on customer satisfaction. As a result, they have gained the respect of their colleagues in the boating industry." Camachee received the Marina of the Year award from ValvTect in January.